In a week where Deputy Opposition Leader Julie Bishop trivialised fear and suffering, Four Corners embarrassed itself with possibly the worst beat-up yet screened on the so-called ‘Labor leadership tensions’ and Opposition Leader Tony Abbott repeatedly ascribed apparent powers of time travel to the not-yet-implemented carbon pricing scheme, it was something of a relief when Parliament rose yesterday. In what might be charitably described as the most revolting and prejudicial piece of muckraking journalism since Scott Morrison was invited to complain about the injustice of letting refugees attend funerals on Christmas Island, today’s Daily Telegraph tried to whip up its readers into a frenzy of envy and righteous indignation. Its target? Asylum seekers. Specifically, the amount of money being spent on readying homes for community detention and helping families set up a new life in Australia. The headline was a bit of a give-away, really. The article, written by Gemma Jones, was worse – thinly-veiled racist sentiment disguised as appeals for a ‘fair go’ for our celebrated ‘working families’. You see, these asylum seekers are getting a big ol’ hand-out. They get places to live, beds to sleep in, medical treatment, and even food. It’s … it’s … outrageous! We’re doing it hard right now, on our $180,000 a year incomes, and soon we’ll have to pay for our own health insurance! Not to mention the evil ‘carbon tax’! No wonder there’s an armada of boats on our horizon! Mike Stuchbery took on the racism in brilliant, scathing style, exposing the truly ugly face that lies behind the fake concern for ‘fairness’. I cannot recommend his article highly enough – but maybe have a soothing cup of tea to hand. You’ll need it. I wanted to take a closer look at the claims made in the Telegraph, though. So here’s a reality check. First the claims, and their nasty implications. There are 97 homes scattered around suburban Sydney (Ashfield, Bankstown, Cabramatta, etc) that the government is in the process of setting up for community detention. The rent on these homes averages $416 a week. Phone and electricity connections will be covered. The government’s spending around $10,000 to set up these homes, buying every from fridges to coathangers to plasma televisions. Every family moving in will get a package of goods worth around $7100 (for a family of five). That package includes a hamper containing milk, bread, butter, cleaning products and ‘essentials’ (air quotes courtesy the Tele. If they’ve got more kids, they’ll get more money. And if they have a baby, they’ll get a $750 pack of basic supplies. Along with all that luxury, detainees may ask to have certain other items considered: bikes, rollerblades, computers, internet access, iPods, etc. On top of everything, they get a benefit, free medical, dental and pharmaceutical treatment, and free education. All of which is paid for by you, the working taxpayer. You’re helping these people live high on the hog so they can kick back and watch DVDs while you struggle to put food on the table. And now, a little reality. The median house rental price in Bankstown as of July 2011 was $440. In Cabramatta this month, it’s $400. These houses do not belong to the detainees. The government holds the leases. Let’s get to the ‘luxuries’. The Tele helpfully furnished us with a list, so I’ve done a bit of research on the government’s apparent extravagance, looking for mid-range items without bulk or commercial discounts. White goods mentioned in the article were sourced from the Good Guys. Furniture was source from Fantastic Furniture. And then I compared these costs with my own home. For the record, we’re a family of four earning approximately 50% above the average national wage. A mid-range, 8 kg washing machine was $807. Ours cost us $1400. A microwave oven was $207. It’s been a while, but it was around the same price for us. A DVD player (or in this case, a DVD/HDD player/record) was $188). We don’t have one of these anymore – we upgraded to using a computer media centre. A reasonably sized side-by-side refrigerator/freezer was was $1874. That’s about what we paid. The article listed an alarm clock radio. I had to go to Harvey Norman to find that one – for a whopping $27. In fact, this is exactly the same model I bought for my kids last Christmas. As for the plasma television, I had to look high and low to find a price on a television this size. Eventually I found this one for $369. It’s worth pointing out that if you’re reading this blog on a desktop computer, your monitor is probably the same size as this ‘luxury’. Our own TV is around 42 inches, and cost us nearly $1000 when we got it on sale. And you can’t buy an old-style, CRT television for love nor money these days. And now for the furniture, which the Tele helpfully tells us includes mattresses, lounges, coathangers and ‘containers for biscuits. I assumed that the government didn’t actually expect detainees to sleep on the floor, and included bed frames, drawers, coffee tables, and the usual accessories. The most expensive queen bedroom package at Fantastic Furniture costs $1499; a comparable single bedroom package is $769). By contrast, my last mattress cost nearly $2000 and the bed frame $1000. So, even before factoring in the two bedside tables ($300 each) and the tallboy ($800), that’s twice the price. I don’t really need to go into detail about my kids’ loft beds and mattresses, do I? Moving into the living areas, the most expensive ‘home starter’ package costs $4999). Now, we just bought a new lounge suite. It was an exciting moment in our house, since we haven’t had a new one since … well, ever. It cost us $2500. Add to that an entertainment unit, coffee table, side tables, dining table and chairs … you see where this is going, right? Moving on to the heights of absurdity … we buy our coat hangers from Coles, and it usually costs us $12-15 for a box of 20 wooden ones. A biscuit container can cost anything from $10.00 for Decor plastic ware, to over $100 for specialist earthenware from a big-name brand. I’m guessing the government isn’t springing for Waterford Crystal. Then there’s the welfare. As Immigration Minister Chris Bowen points out, asylum seekers are not permitted to work while their claims are processed. Some support is necessary, and this is on a par with pensions. Asylum seekers often arrive with untreated medical conditions, some quite serious. Is the Tele really suggesting they not receive care? And let’s not forget the ‘welcome hamper’, which the Tele seems to think contains the rough equivalent of a magnum of Moet, pate de foie gras and caviar. The hamper actually contains the very basics of setting up a home, for goodness’ sake. We give more to our kids when they move out for the first time! I did visit Coles Online to source some prices – but honestly, it’s not worth it. The claim that giving people these items is in some way a terrible thing is just not worth dignifying with that much work. Ditto the baby supplies. But hold up a second: none of that matters, because here’s the real kicker. And the rest of the costs? Are the least we can do. Is the Tele honestly suggesting that we shouldn’t pay for basic set-up supplies for people who arrive on our shores with nothing more than the clothes on their backs? That we shouldn’t buy nappies for babies? The article is beyond misleading. It is vicious rabble-rousing guaranteed to stir up fear and resentment against some of the most vulnerable people in the country. A little basic fact-checking shows that this is not a case of wasteful government spending, pork-barrelling or any other type of mismanagement or corruption. Did no one think to do this? Or did they just decide that the sensation value outweighed any petty concerns like facts? What sickens me is the creeping suspicion that this is exactly what the Daily Telegraph did. That they made the cynical, reprehensible decision to publish this article because they knew it would appeal to the most mean-spirited impulses in Australian people. And therefore make them money from sales and advertising. And if the cries to ‘stop the boats’ get louder? If the already inhumane treatment of the majority of detainees becomes worse as a result of politicians grabbing for votes? If a few more asylum seekers are spat on in the streets, subjected to racist bullying and outright violence from those who feel they’re ‘getting it easy’? That’s not the Tele’s problem, is it? They just print the news. And if something bad comes of anything they produce? That’ll be a good story. Of course, it won’t be their fault. Well, here’s some breaking news for you, News Limited. You are not printing news. You’re making it up. You are not producing good journalism. You’re pandering to the lowest impulses in human nature. You are not informing the public. You’re taking advantage of people’s trust in news services (and yes, people do still trust the mainstream media, goodness knows why) to lie to them and encourage them to adopt a xenophobic mob mentality. You’re a disgrace to news production. Gemma Jones is a disgrace to her profession. And every sub-editor, fact-checker or proof-reader who let that article go through is complicit. And you won’t get away with it for much longer, if there’s any justice left in the world. The Full Bench of the High Court handed down a unanimous decision today that has the potential to completely change how boat-borne asylum seekers have their claims processed. In this landmark ruling, the Court found that two Sri Lankan asylum seekers were denied ‘procedural fairness’, because – being incarcerated on Christmas Island – they had no access to the Australian court system. See, that’s something not many people know, and no one talks about. If you walk off a plane and claim asylum, you are released into the community, assessed by the Refugee Review Tribunal, and have access to Australian courts to appeal an unfavourable ruling. If you come via boat, you get a ‘review’ process. That process looks like a court, but is not bound by Australian law. If the bureaucrats in charge of that deny your claim, your only hope is to pray that the Immigration Minister considers your case personally. Otherwise, you’ll be deported. This is the ‘compassionate’ system put in place by the Howard government on Christmas Island and Nauru, and continued by the Rudd and Gillard governments even after the closure of the Nauru centre. In one of the most shameless and inhumane pieces of legislation passed by the Howard Government, Christmas Island, Ashmore Reef and other destinations commonly sought by asylum seekers were ‘excised’ from Australian jurisdiction under the Immigration Act. This made it possible to deny full access to Australian law, in much the same way the US prevented suspected ‘terrorists’ from seeking legal redress in the courts. Although the Rudd government introduced an Independent Merits Review Process in 2008 so that those whose claims were denied once could appeal, the reality is that outside contractors hold the fate of asylum seekers in their hands – contractors who are not required to have any experience in immigration law, and who are accountable only to the Minister. The High Court found today that this system is completely unfair, that it denies the rights of boat-borne asylum seekers the right to a fair hearing under Australian law. It ruled that all asylum seekers were bound by the Migration Act and other Australian laws, regardless of their mode of travel. This means that the government now derives no benefit from funnelling asylum seekers through offshore processing – they can no longer do an end run around the law. As law firm Allens Arthur Robinson, the legal firm who handled the case on behalf of the Refugee and Immigration Legal Centre noted, the decision ‘has important legal ramifications’. Scott Morrison, the Coalition’s Shadow Immigration spokesperson, seems not to understand this. Shaking his head in disbelief, he fronted the media to tell them that this was a ‘terrible’ decision, ‘the best day for people smugglers since the reappointment of the Gillard government’. This was ‘proof’ of Labor’s ‘policy failure of cack-handedness’, he said, and added that the government should now embrace the Nauru solution. The High Court’s ruling did not apply to Nauru, he said. I’d like to think this was some kind of political strategy, but in reality, I think he just doesn’t get it. Whether asylum seekers come to Tullamarine Airport, Christmas Island, or Nauru, if they claim asylum from Australia they must now have access to the Australian court system. 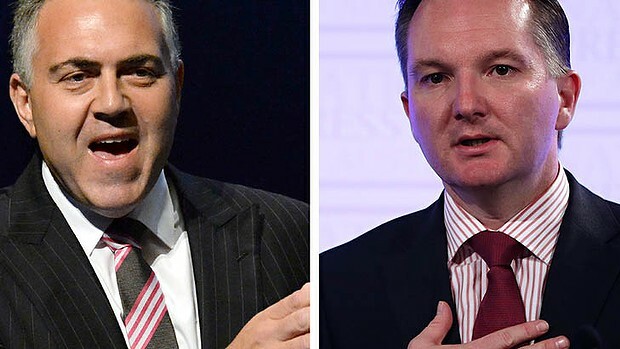 Immigration Minister Chris Bowen said he was getting legal advice from the Solicitor-General, and would make recommendations to Cabinet within a few weeks. He seemed keen to create the impression that the ruling did not affect the policy of offshore detention, or the excision of Australian territories from the Migration Act. To say he looked like he didn’t believe that himself is an understatement. He was extremely nervous, and not just because David Marr was standing behind his shoulder looking like the Ghost of Righteous Fury Vindicated. (Read the excellent Dark Victory, which he co-wrote with Marian Wilkinson, if you haven’t yet heard his views on Australia’s refugee policy.) At this time, 145 people have been denied refugee status. That’s a potential 145 appeals. Unless the government moves to introduce some particularly dodgy legislation, the implications of this High Court decision are far-reaching. It may not end offshore detention – there are certain political benefits, disgusting as that may be, to having refugees ‘out of sight and out of mind’. The recent xenophobic rabble-rousing over the proposed new centres at Northam and Inverbrackie prove that unpleasant point. At the very least, however, boat-borne asylum seekers should now have access to the court system, and would no longer be subject to the whims of the bureaucracy. The Refugee and Immigration Legal Centre, who were the main drivers of this High Court case, have not said whether they plan further legal action. It would be interesting to see whether the High Court would rule that incarcerating those who come on boats, while letting those who arrive by plane walk around freely, was an illegal two-tier system. Certainly, there are no good reasons for assuming that a sea-borne refugee is a greater threat to the community. In the meantime, no matter what parliamentarians might be saying to the media, there is no getting away from the fact that this decision could change how Australia handles refugee claims – and change it for the better.